Congratulations goes out to Tom Finstad out of Edmonton, who won the Western Canadian Championships this past weekend in Red Deer , Alberta. 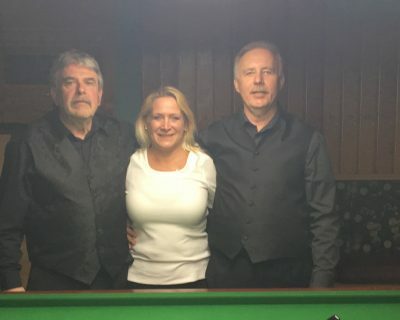 It was an all Edmonton Final with veteran player, Craig Kerry and it went all the way down to the final frame in the wee hours of the night. In the end , it was Finstad that managed to get over the line. A big thank you goes out to all the players for coming out and battling it out all weekend. A special thanks to Lorne Brooks and Valerie Franiel for accommodating all the players and just being the old school people they are in supporting our game. Looking forward to growing snooker in Alberta for years to come.